Migraines are debilitating headaches often accompanied by nausea or light and sound sensitivity. Migraine pain can be so severe that it limits your ability to manage your daily life. Paul Brock, DC, a board-certified chiropractor, takes a holistic approach to treating your migraine pain. If you’re experiencing recurring headaches or migraines, make an appointment at Brock Chiropractic in Tustin, California, by phone or by using our convenient online booking. According to the International Headache Society, to be diagnosed with migraines you must have had at least five attacks that lasted 4-72 hours without treatment. More than 10% of the population complains of migraines. Women are three times more likely to have migraines than men are. Migraines often first appear in childhood. Many causes for migraines have been proposed but not verified. Currently, researchers believe that migraines are genetic in origin. There are, however, triggers that may instigate an attack. Does misalignment of the spine cause headaches? There is a particular type of headache, called a cervicogenic headache, that is caused by subluxation, a misalignment of the spine or jaw joint. Subluxation can irritate the nerves in the spine. The pain then radiates into the head and brain. Subluxation can also cause chemical changes in the brain that lead to hormonal imbalances and other symptoms and signs associated with migraines. Individuals who suffer from migraines often have subluxation as an underlying or complicating factor. How does a chiropractor treat migraines and other headaches? 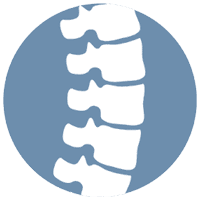 When a subluxation is at the root of a headache, Dr. Brock can alleviate the pain with chiropractic adjustments that correct the spinal misalignment. When the spine aligns in a natural and healthy position, the body functions more efficiently. Many of the other signs and symptoms of migraines and headaches disappear or diminish after the subluxation has been corrected. Dr. Brock may also provide you with herbs that nourish and strengthen the spinal tissues. If foods or chemicals trigger your migraines or headaches, he helps you design a diet that allows you to avoid them. As always, he aims to strengthen your body so you can reach an optimal state of homeostasis and health.